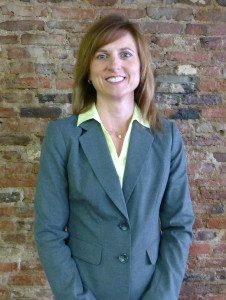 Lynn M. DeSorbo is a Paralegal at Capasso & Associates LLC, and has been an instrumental part of the firm’s success since 1998. She earned a degree in Legal Studies from Fulton Montgomery Community College. Ms. DeSorbo regularly attends continuing legal education courses held by the New York State Bar Association and MatLaw Systems Corp. She has specialized in the area of matrimonial law and family law litigation for over 25 years. Ms. DeSorbo’s duties include conferencing with attorneys and clients, gathering, reviewing, and analyzing documents relevant to a client’s case, and managing case files. She specializes in the preparation of pleadings and court documents through all phases of a case from the commencement of an action to its conclusion, including, but not limited to, Statements of Net Worth, Motions, Discovery Demands and Responses, Settlement Agreements, Separation Agreements, Statements of Proposed Disposition, and final submission of divorce pleadings. Ms. DeSorbo also prepares files for settlement conferences, court appearances and trials. Ms. DeSorbo provides professional and confident support for our respected clients.